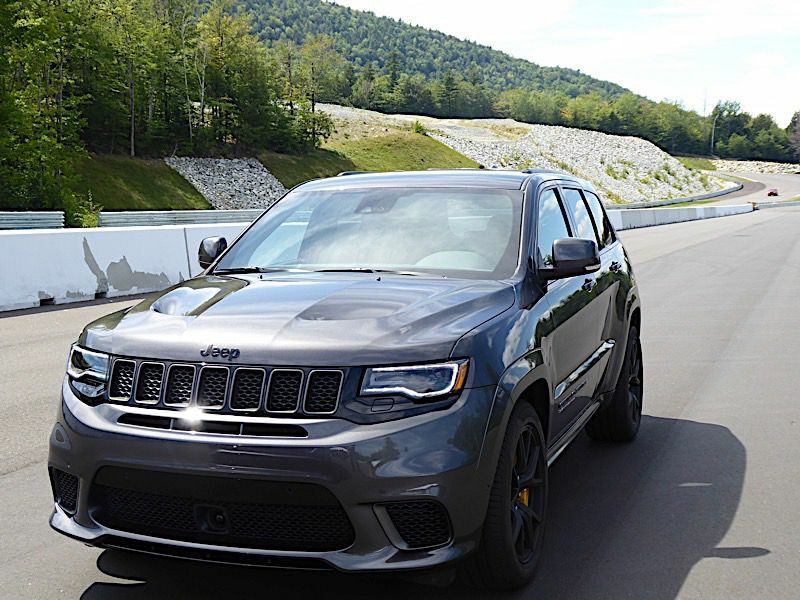 The 2019 Jeep Grand Cherokee Trackhawk answers the question everyone has asked: What happens when you combine a Jeep Grand Cherokee with a Dodge Challenger Hellcat? Answer: You create the most powerful and quickest SUV ever — a comfortable, five-passenger crossover that can out-accelerate a Shelby Mustang, cruise comfortably at 180 mph, and function like a normal everyday family car. Under the Jeep’s scooped hood is a small thermonuclear device known as the Hellcat’s supercharged 6.2-liter Hemi V8. 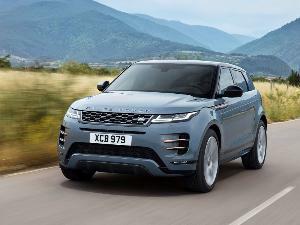 It pumps out an incredible 707 horsepower, which is enough power to get this all-wheel drive SUV to 60 mph quicker than all of its European rivals, including the Range Rover Sport SVR, Mercedes-Benz GLE63, and Porsche Cayenne Turbo. 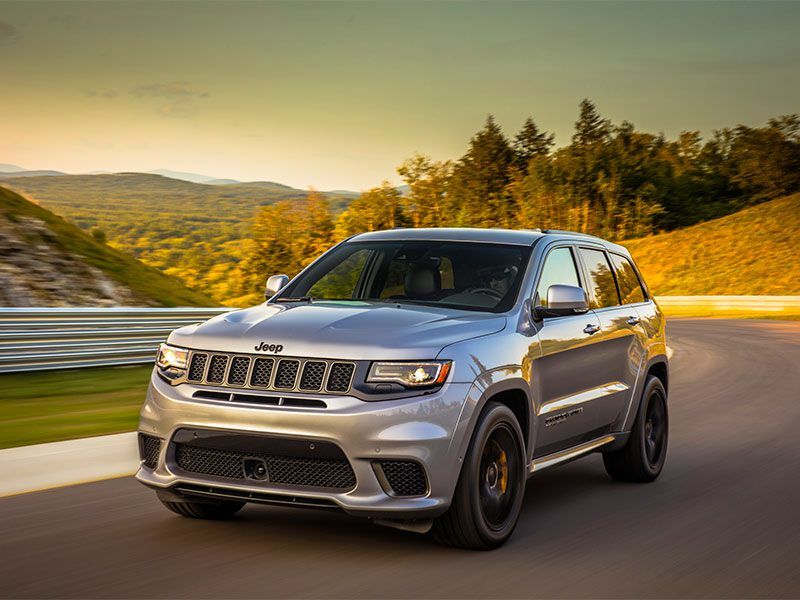 Built in Detroit alongside Jeep’s many other Grand Cherokee models, the supercharged Trackhawk isn’t just quicker than its European rivals — it’s considerably less expensive as well. Prices start at $88,395, including a $1,495 destination charge. The Range Rover, the Mercedes, and the Porsche all cost well over $100,000. 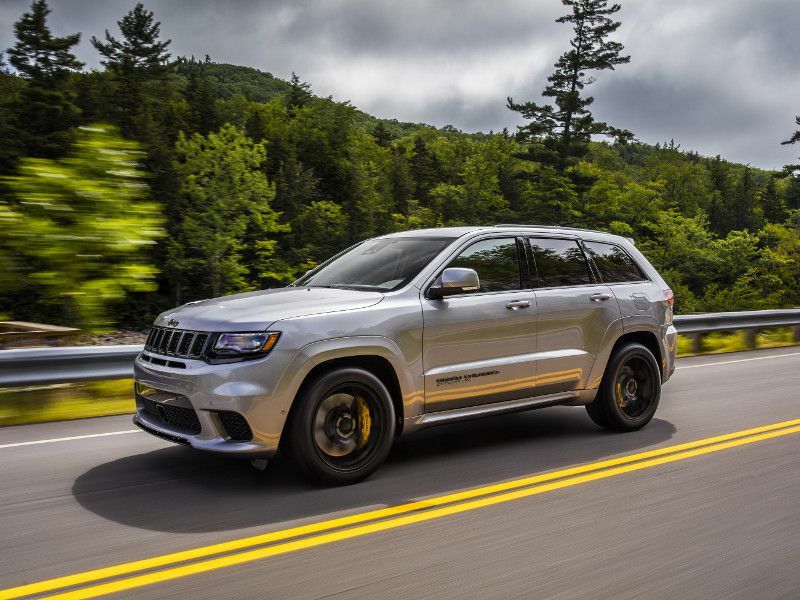 The 2019 Trackhawk sits at the top of the Jeep Grand Cherokee food chain. 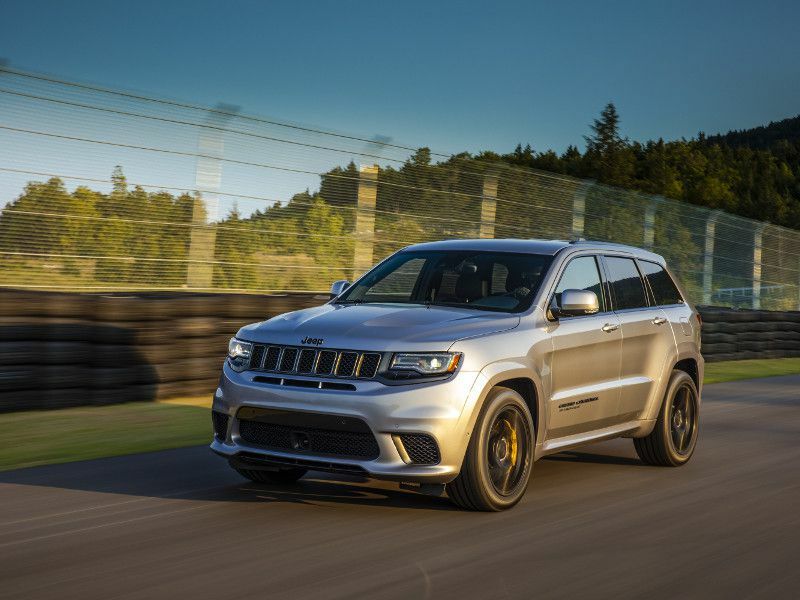 Don’t confuse it with the less expensive and less powerful Grand Cherokee SRT, which is similar but lacks the Trackhawk’s supercharged engine. The 6.4-liter V8 engine in the Grand Cherokee SRT is packing “only” 475 hp. Our Trackhawk test vehicle, dressed in Billet Silver Metallic paint, also had the optional 19-speaker Harmon Kardon audio system for $2,095, a satin black set of wheels for $995, and high-performance summer tires for $895. The price as tested was $92,380. 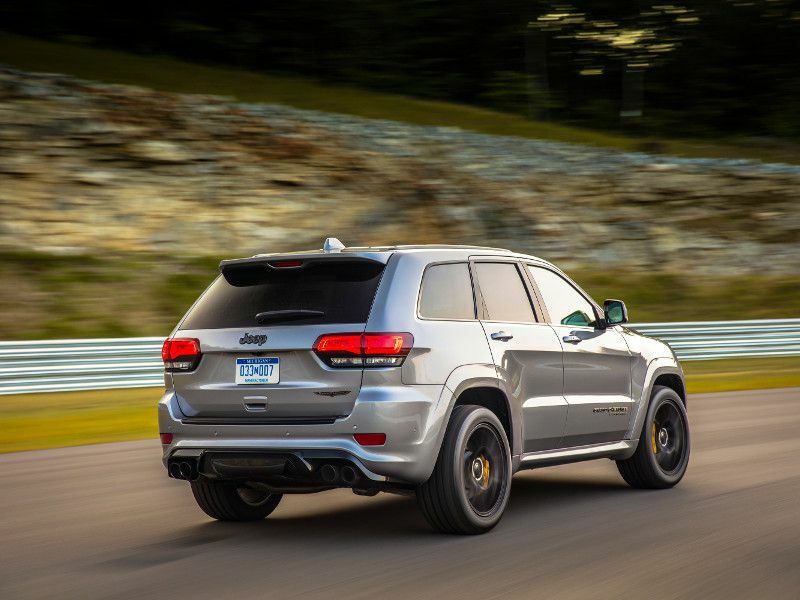 Let's get back to this SUV’s awesome acceleration, which makes driving the 2019 Jeep Grand Cherokee Trackhawk a serious thrill. However, fair warning: If you don’t like the feeling you get on rollercoasters, when your body is compressed and your neck muscles are strained and your inner ear is momentarily disrupted and your tummy twizzles from the g-forces, then this is not the car for you. For the rest of us, it may just be the perfect automobile. Unlike the rear-wheel drive Challenger Hellcat, which basically sends all that horsepower up in tire smoke, the all-wheel drive Trackhawk always has an abundance of traction. 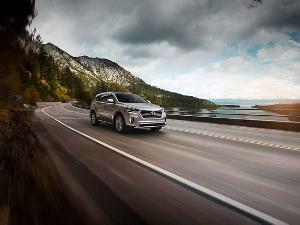 Its big 20-inch tires grip the road like they’re covered in Crazy Glue. Use the Trackhawk’s launch control feature, and the SUV slingshots forward as if it were rear-ended by a speeding Kenworth, hitting 60 mph in just 3.5 seconds and powering through the quarter-mile in 11.6 seconds. 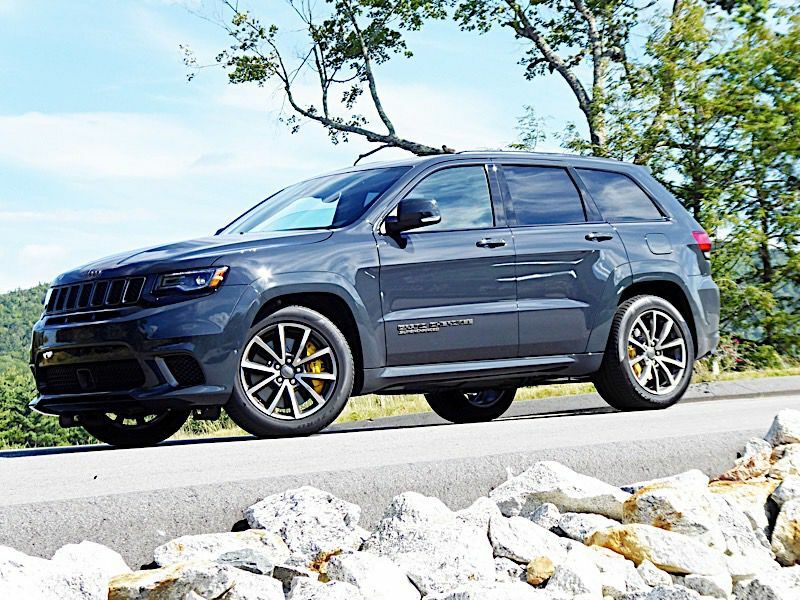 Unlike the Challenger Hellcat, the Grand Cherokee Trackhawk is not subject to a $1,700 gas-guzzler tax. But don’t let that fool you — this 707 hp SUV is a thirsty beast. The EPA estimates its fuel mileage at just 11 mpg in the city and 17 mpg on the highway. And if you drive it like you stole it, you won’t get anywhere near even those numbers. Full throttle is the enemy of fuel economy, and if you spend any time enjoying the Trackhawk’s additive acceleration, you basically abandon any hopes of respectable fuel economy. I averaged just 9 mpg in the Jeep driving it like I just graduated high school. However, when handled with a little more maturity, brought on by my wife riding shotgun, the Jeep’s appetite for gasoline isn’t quite as voracious. In mixed driving with considerably more throttle discipline, I averaged 13 mpg, right on the Trackhawk’s combined EPA rating. 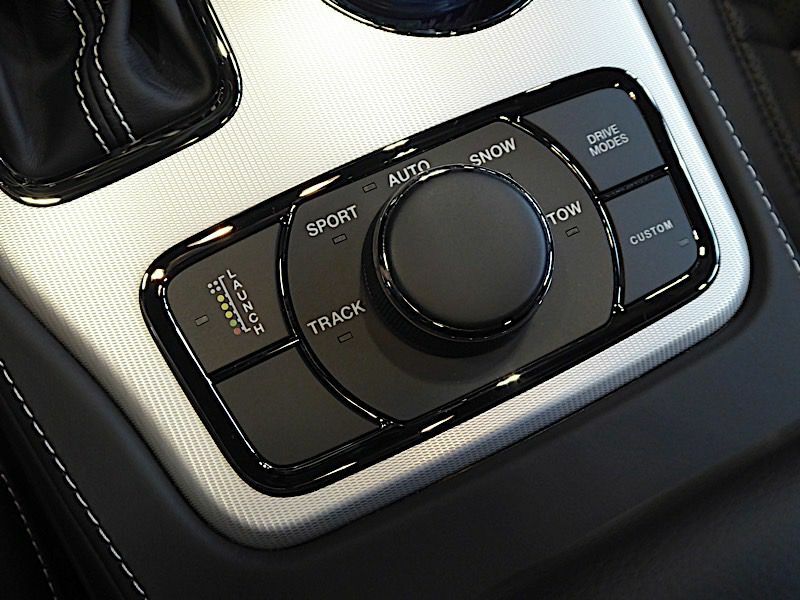 Every Grand Cherokee Trackhawk features five drive modes, which the driver can select with a large knob on the console. Each mode — Auto, Sport, Track, Snow, and Tow — modifies the feel and performance of the four-wheel drive system, eight-speed automatic transmission, paddle shifters, stability control, suspension, and steering. There’s also a custom setting, which allows you to mix and match. For a bit more response, we used the Sport mode most often. According to Jeep, it halves the transmission’s shift times; sets the stability control, four-wheel drive, and steering “for the typical enthusiast driving style"; activates the paddle shifters; and tightens the suspension. It also modifies the torque split of the all-wheel drive system, sending 65 percent of the Hemi’s power to the rear tires. In Track mode, that increases to the maximum possible amount, 70 percent, while in Snow mode it drops to 50 percent. The Jeep’s suspension is firm, even in the Auto setting, but it’s comfortable thanks to special Bilstein shocks. 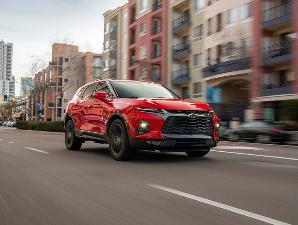 Most will find the Trackhawk’s ride to be pleasant, and families could happily road-trip this hot-rod SUV in complete comfort. Just bring your gas credit card. Driving the 2019 Jeep Grand Cherokee Trackhawk is a massive ego trip. How can it not be? You’re driving a family SUV with 645 lb-ft of torque that can basically beat every other car on the road in a drag race. And at full throttle the rumble of the Jeep’s massive V8 combines with a high-pitched blower whine. It’s right out of "Mad Max." But the Trackhawk doesn’t just go fast in a straight line. It can corner. Jeep’s engineers have managed to make this mid-size SUV feel nimble and maneuverable. This is an impressive feat considering the Grand Cherokee’s portly 5,356 lbs, nose-heavy 55/45 percent weight distribution, and relatively high center of gravity. There’s plenty of grip thanks to the massive 20-inch summer tires. They keep the big SUV stuck to the road. Body roll is kept in check during hard corning, and the Trackhawk’s extra-large Brembo brakes are seriously powerful. Although the steering is heavier than it needs to be, the ratio and feel are perfect. The interior of the 2019 Jeep Grand Cherokee Trackhawk is all about modern features and clean ergonomic design. It’s basically the same attractive, functional, and well-built interior you get in every other Grand Cherokee model, albeit with a few important upgrades. Trackhawks get cool aluminum-look trim on the dash, doors, console, and steering wheel. The steering wheel is also thicker, so it feels substantial in your hands, and the Trackhawk’s seats are reshaped for more support during hard corning. They’re firm but comfortable. Heated and ventilated front seats and a heated steering wheel are standard, as is seat-height adjustment and a power tilting and telescopic steering wheel. Visibility is excellent, and all the Jeep’s controls are well-placed, including its large 8.4-inch touchscreen. The infotainment system is intuitive to use, and the gauges are simple and easy to read. Large knobs and big buttons control the audio and climate systems. Our Trackhawk test vehicle came standard with remote start, navigation, voice command, and, of course, Bluetooth. Its Uconnect infotainment system is also compatible with Apple CarPlay and Android Auto compatible. However, Wi-Fi connectivity is not offered. Standard safety systems on the Trackhawk include parking sensors, a lane-departure warning, automatic emergency braking with a forward collision warning, adaptive cruise control, and a backup camera. And for 2019, all Grand Cherokee models feature blind-spot monitoring with rear cross-path detection as standard equipment. The Jeep’s cargo volume is also considerable. 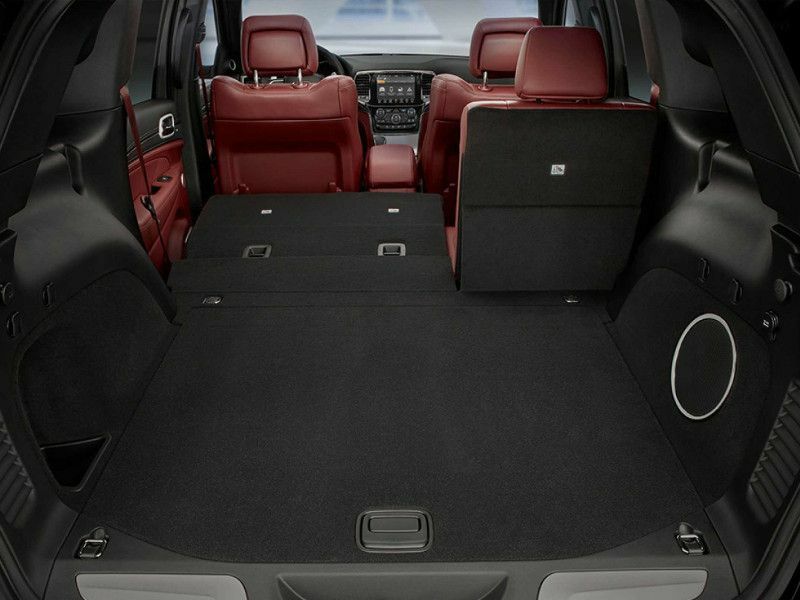 The Trackhawk offers the same amount of cargo space as other Grand Cherokee models, which means there’s 36.3 cubic feet of space behind its rear seat and 68.3 cubic feet with its rear seats folded flat. That’s considerably more than you get in a Porsche Cayenne. Jeep debuted the fourth generation of the Grand Cherokee back in 2011. That’s eight years ago. In the car world its a lifetime. This is not a fresh design, but somehow, the Grand Cherokee Trackhawk looks bitchin, with a proper muscle truck attitude, and it still turns head. Jeep’s design team has done a masterful job tweaking the Grand Cherokee’s look for the Trackhawk, adding a deep chin spoiler, a ventilated hood, black trim, oversized exhaust pipes, and minimal badging. And its enormous wheels and tires don’t hurt its hunkered-down stance any. But it’s all very subtle. There aren’t any big silly graphics or cartoonish spoilers on the Trackhawk. This thing is a sleeper. Yes, those who know Jeeps will spot it from a mile away, but it can easily be confused for a run-of-the-mill Grand Cherokee, and that’s pretty cool. Not only does it look like a common soccer-mom-mobile to America’s wonderful men in blue, but if you're over 45, it also doesn’t look like your driving your midlife crisis. 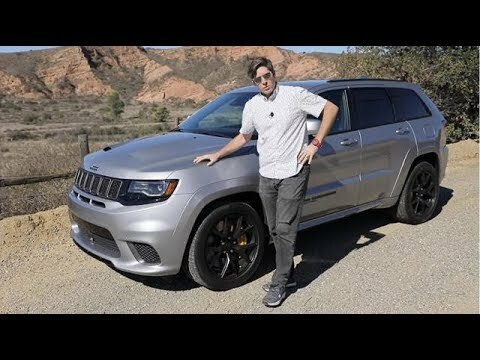 The Grand Cherokee Trackhawk is something special. It delivers high levels of style, features, and technology. It’s as comfortable and as practical as a regular Grand Cherokee, but it’s bursting with horsepower, and it handles and stops like a European sport sedan. Few SUVs are this fun to drive, and there isn’t another in all the world that can keep up with this monster. The fact that it’s designed and built in Detroit just makes it that much cooler. It’s like driving around in a 5300-lb, 700-hp American flag wrapped around Midwestern values. 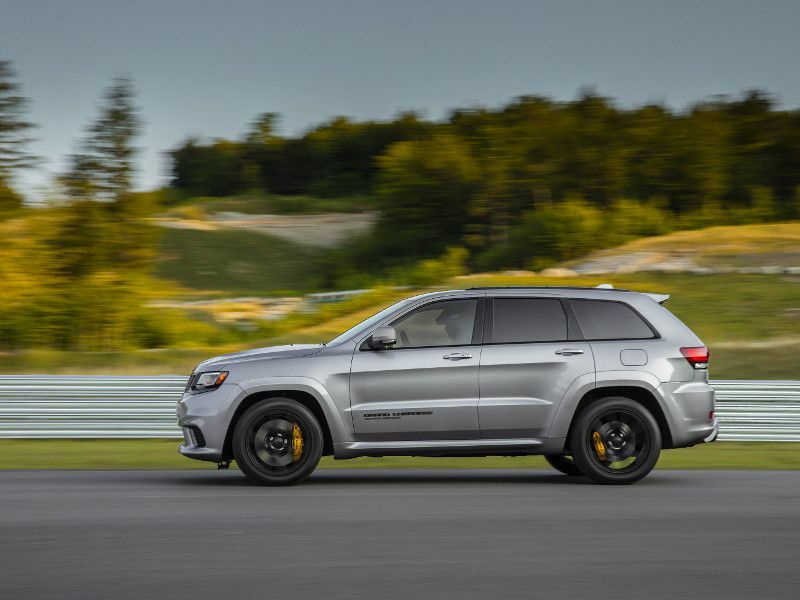 For those in the market for a high-performance SUV, the 2019 Jeep Grand Cherokee Trackhawk is a very desirable choice.